Protecting charity shop workers – and volunteers – is an issue of great importance to the Charity Retail Association. Earlier this year, my team conducted our new research on the prevalence of a variety of types of crime in the charity retail sector. Therefore, we have been following with interest, the attempts of one MP to change law to give greater protections to shop workers. Alex Norris MP (Lab/Co-op, Nottingham North) has proposed an Assaults on Retail Workers (Offences) Bill in Parliament. This would make certain offences aggravated – allowing for longer sentences – when carried out against shop workers. We have also been working on this issue for some time. 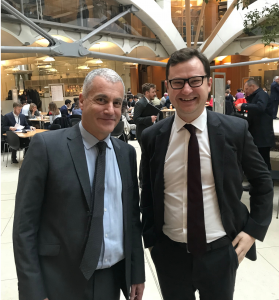 For example, I recently attended the meeting of the Welsh Cross Party Group on Small Shop when this hosted a meeting in the Welsh Assembly on retail crime, and reported back to our members in this blog. Nobody who works or volunteers in a charity shop should have to suffer intimidation, abuse or even violence, when giving their time to support a charitable cause. We therefore strongly support efforts to change the law to deliver greater protections for these people, with whom our sector could not contribute £278m to charitable causes every year. We discussed how the bill’s passage has stalled in Westminster’s arcane Private Members Bills procedure, and how the CRA would proactively support any initiative to revive it. We also agreed that the bill should be written so that charity shop volunteers, as well as paid retail workers, are covered by additional protections. This is something we will continue to campaign on because the people who volunteer and work in our members’ shops deserve nothing less.